Our master statue makers have started to cast these authentic Tibetan stupas using the same hand carved molds as their thousand dollar statues. Made of natural tree resins hardened to stone-like consistency. It's a great addition to any altar area, meditation space, home, or office. Bottom has hollow space available for consecration. A stupa serves as a reliquary for remains of the Buddha and their familiar shape can be found throughout Buddhist countries around the world. Measures approximately 8 inches tall. Made in Nepal. This is a great and worthwhile altar item. It really looks even better than the picture. 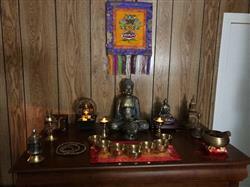 I have it next to my Buddha statue and it enhances my altar. I would highly recommend it. Great piece. Wish they had them bigger. Like 24-36 inches. I would put it in my garden. Great detail bit sits by my singing bowl and Buddah ? 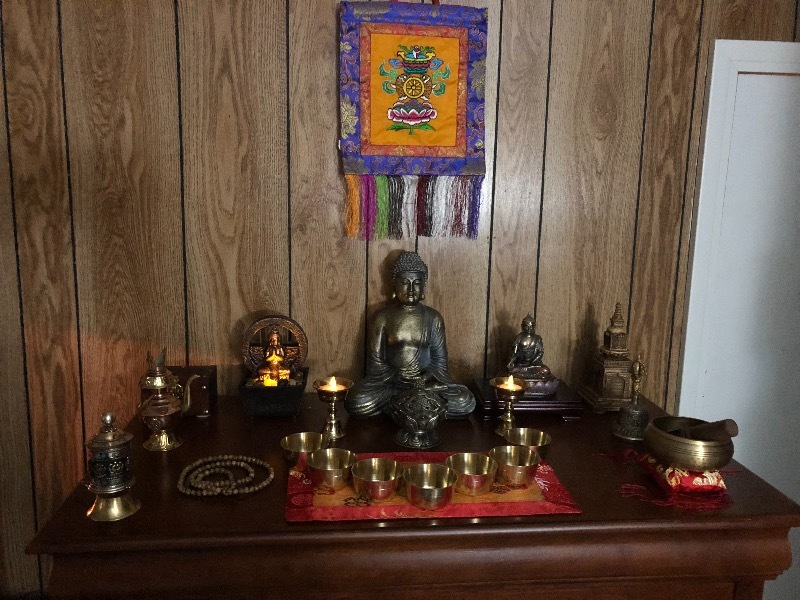 I really appreciate the work that went into this piece and it is a statement of reverence among my other Buddhist pieces. Fits perfect on Altar, matches with other items in size and color. Just imperfect enough to give it a antique look. Dharma shop is about the best on line source for genuine tools to enhance mindfulness! Thank you all so much. Jeff, thank you very much for your review and support. It means a lot to us! We're glad to hear that these tools have helped to enhance your practice and hope that they continue to do so. Thanks, again, for your feedback and help in supporting Himalayan artisans!